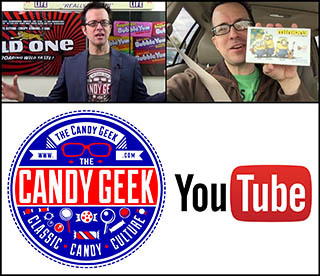 ← My Year in Collecting: 2015! I’ve spoken in the past about my love of Topps’ Wacky Packages parody stickers, both the 1970’s classics as well as the modern iterations. For those that don’t know, Wacky Packages were (primarily) peel-away sticker parodies of the packaging of well-known consumer products. As a kid, these stickers captured my imagination – which might be part of the reason I have found such fascination as an adult with packaging at large and candy in specific. Needless to say, one of the things I’ve had fun doing is trying to track down the exact version of packaging that has been parodied in the original Wacky Packages series. It’s a fun offshoot of my hobby but I also feel it is important for historical perspective and understanding of Wacky Packages themselves. Without a clear image of the target of their parody, without that context, it may eventually become difficult if not impossible to understand their humor. And in most cases tracking down those original packages can be very tough to do. 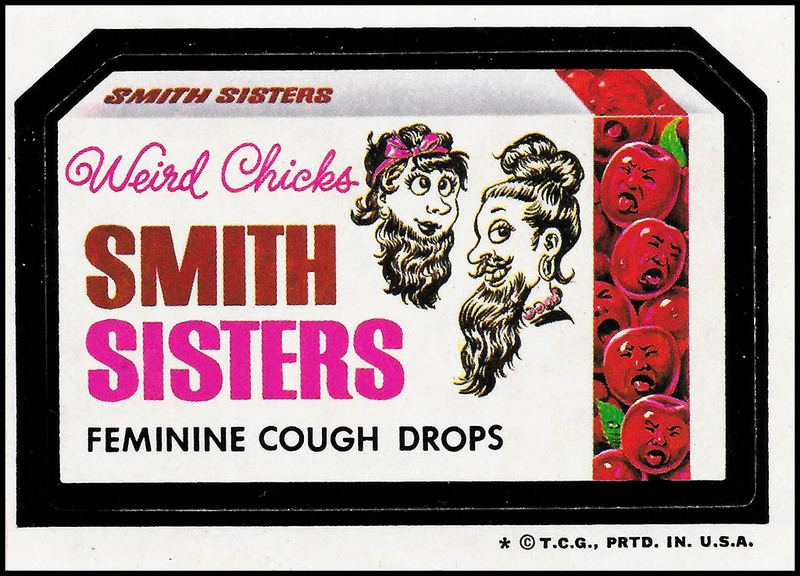 Such was the case with the original product featured with the Wacky sticker, Smith Sisters, a parody of Smith Brothers cough drops. 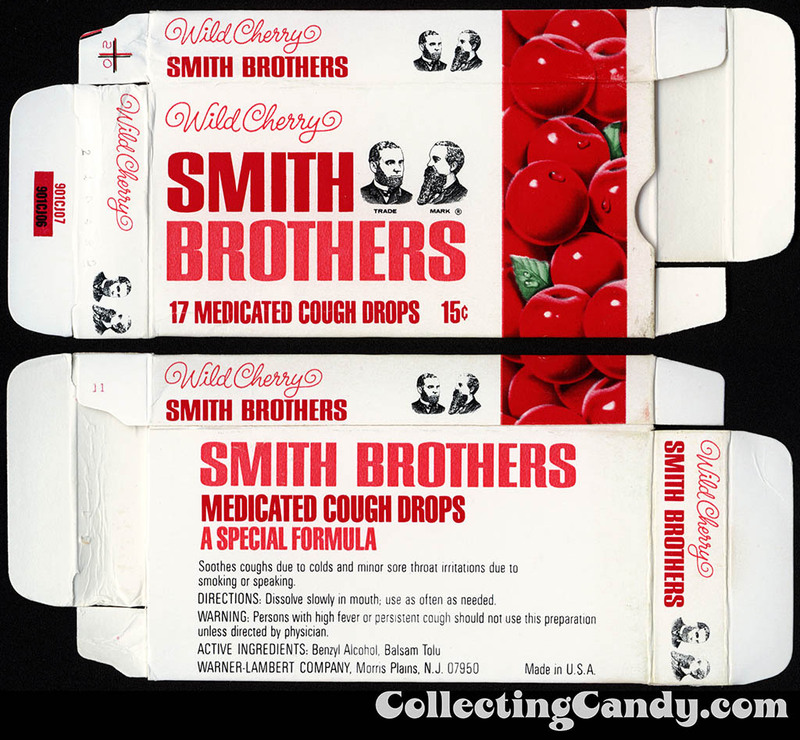 I’ve been searching for the style of Smith Brothers cough drops box parodied in this original series Wacky for the better part of ten years. Surprisingly, this specific version of a Smith Brothers box never surfaced until recently, and I say surprisingly because it seemed as though the significantly different 1960’s (or earlier) style box showed up every week. But not this one. And so ends one of my collector quests. I can finally put my “Smith Brothers” saved eBay search to rest once and for all. That’s everything for this special Wacky Wednesdays – see you next time! This entry was posted in 1970's, Boxed, Topps, Wacky Packages and tagged candy collecting, candy collection, candy collector, candy wrapper collection, candy wrapper collector, collectible, collecting candy, confectionery, confections, packaging, packaging design, sweets, vintage candy wrappers, wrapper. Bookmark the permalink. 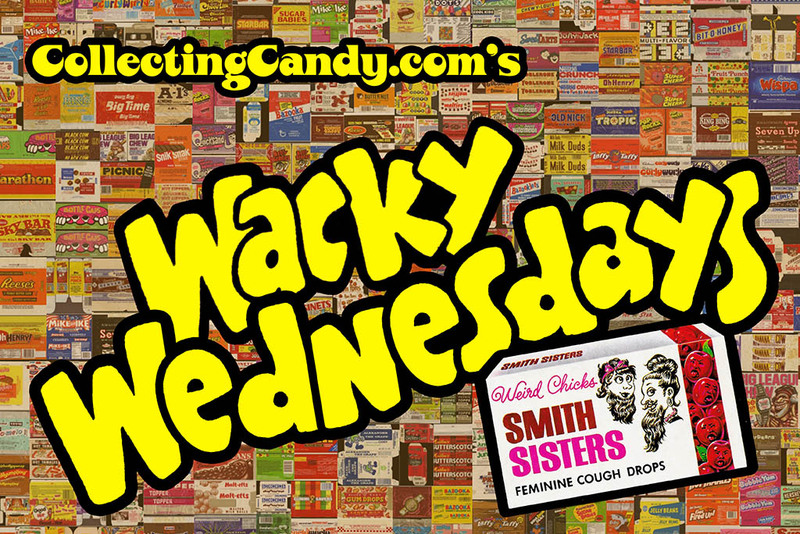 3 Responses to Wacky Wednesdays – Smith Sisters! I have not seen Pine Bros in the box format, but I have seen them in nice-looking canisters, the ones approximating the size and shape of a small shoe polish tin, same as those you can sometimes find with various breath mint products. Not quite the same as the classic box, but a nice way to preserve more or less the same packaging design. On a related note “Honees” cough drops, another throwback brand, have been back on well-stocked candy stores for a few years now. Packaging graphics same as I remember back in the n the day.